3D Decorating - Painter/Decorator based in Horsham, West Sussex. We are professional painters and decorators based in Horsham covering most parts of Sussex and Surrey. We pride ourselves on the quality of work and the design that we deliver. 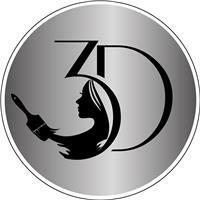 Our team here at 3D have all been in the industry for many years with a wealth of knowledge under our belts. Fully qualified and insured painters and decorators who have worked on numerous projects throughout Horsham and Sussex with outstanding results and lots of happy customers. So if you are looking for reliable professionals to transform your home call us today to arrange a free no obligation quote.